Home / Paris Region Services / Promotion / Operations overview / Workshop Hoteliers European Marketplace (HEM): a great success! 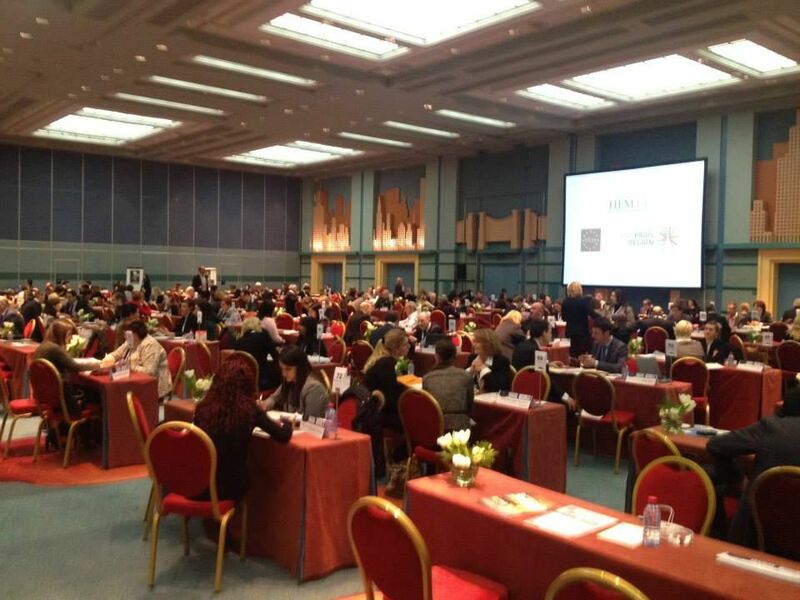 Workshop Hoteliers European Marketplace (HEM): a great success! For the very first time on 17 February, the Paris Region welcomed the latest Workshop Hoteliers European Marketplace (HEM) organised by ETOA (European Tour Operators Association), at the New York hotel in Disneyland Paris. This workshop brought together a total of 222 participants (European hoteliers and tour operators) at the BtoB gathering in the form of pre-scheduled meetings. Before this workshop, the tour operators were invited on a familiarization trip, organised by the Paris Region Tourist Board. They had the privilege of being welcomed for a previously unseen visit to the Galeries Lafayette, dinner in the idyllic surrounding of the Château de Vaux le Vicomte, which was made private for this occasion, and the next day to discover the Musée de la Grande Guerre de Meaux on a guided tour. For the HEM evening reception, some 150 participants (hoteliers and tour operators) attended a dinner-show of the very latest Parisian cabaret, the Mugler Follies. The guests were delighted by the originality of the show and everyone enjoyed their evening. The HEM, which has been taking place for a number of years in Brussels, has recorded a 20% rise in the number of subscribers for this edition, due to the changing the location of this operation to Paris Region. The Rendez-vous point for 2015 has been chosen, the ETOA deciding to rerun this HEM workshop in Paris Region.